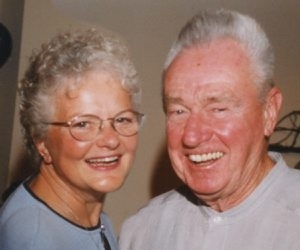 Mr. and Mrs. Ralph Zauner of Grand Island celebrated their 60th wedding anniversary with a family dinner at Red Osier. Mr. Zauner and the former Margaret “Peg” Willwerth were married April 24, 1954, in St. Francis Xavier Catholic in Black Rock. He is a retired tool maker for J.H. Williams Co. and Chevrolet Plant. She is a retired cafeteria aide for Huth Road Elementary School in Grand Island. They have a son.